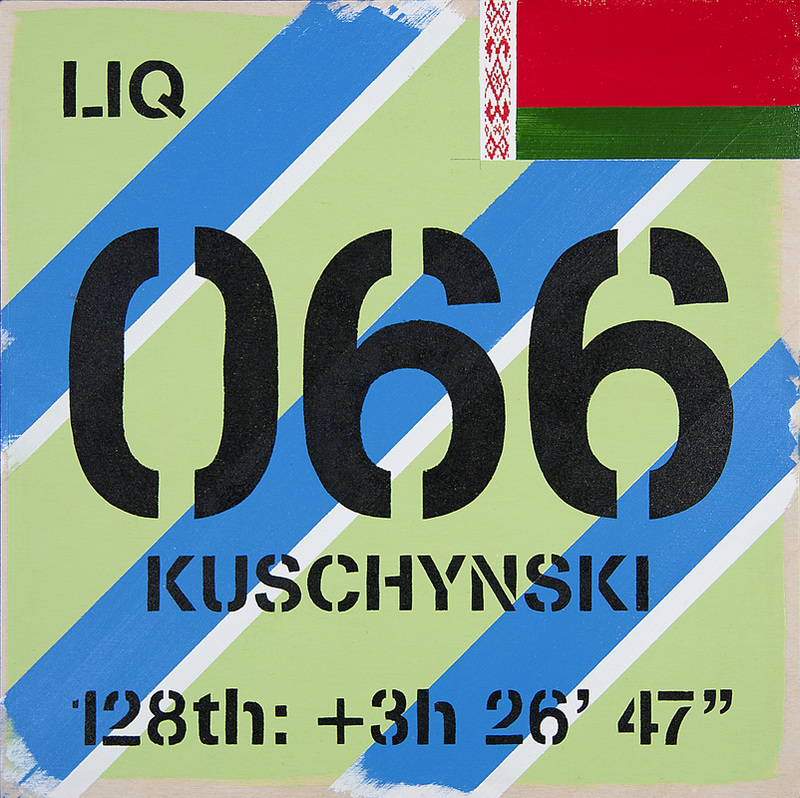 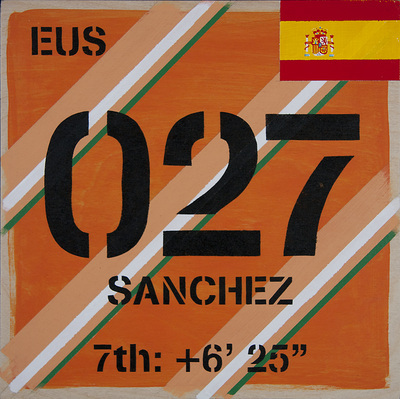 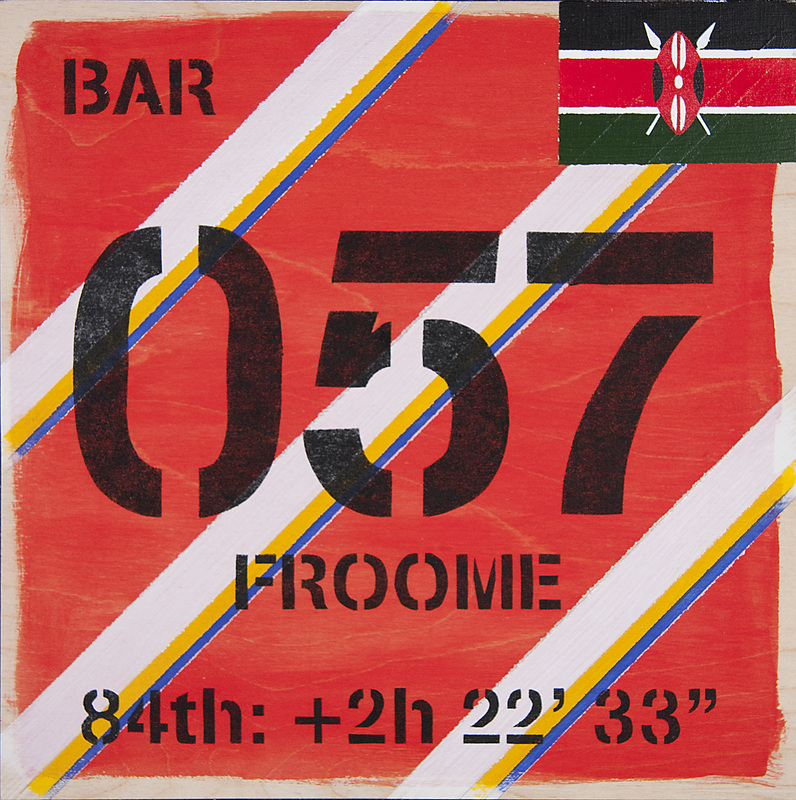 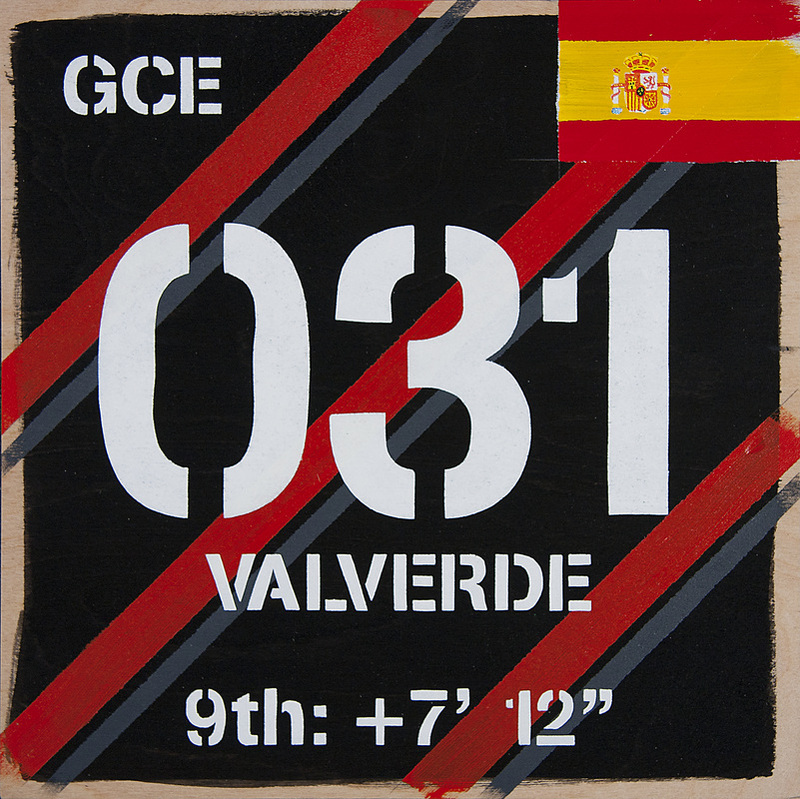 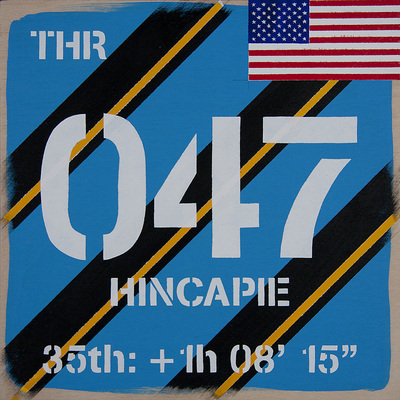 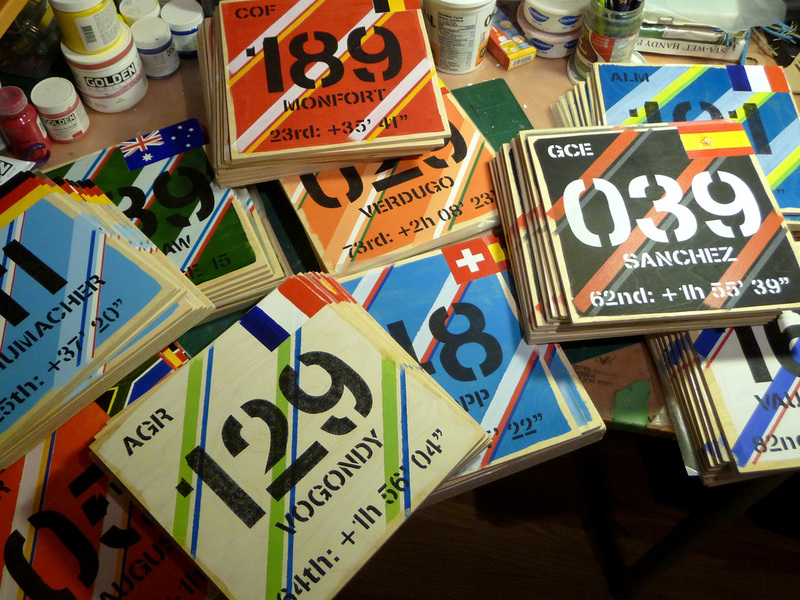 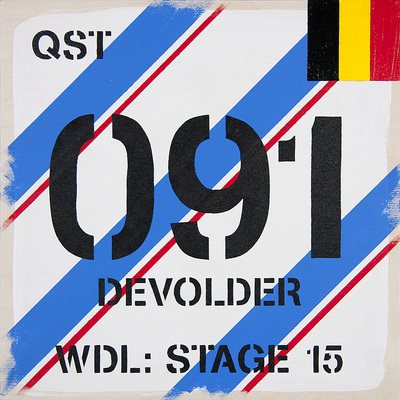 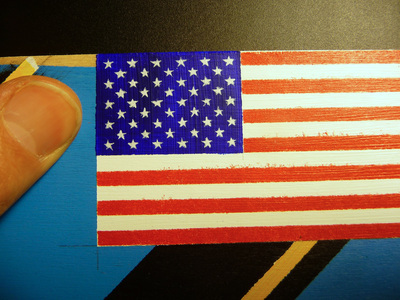 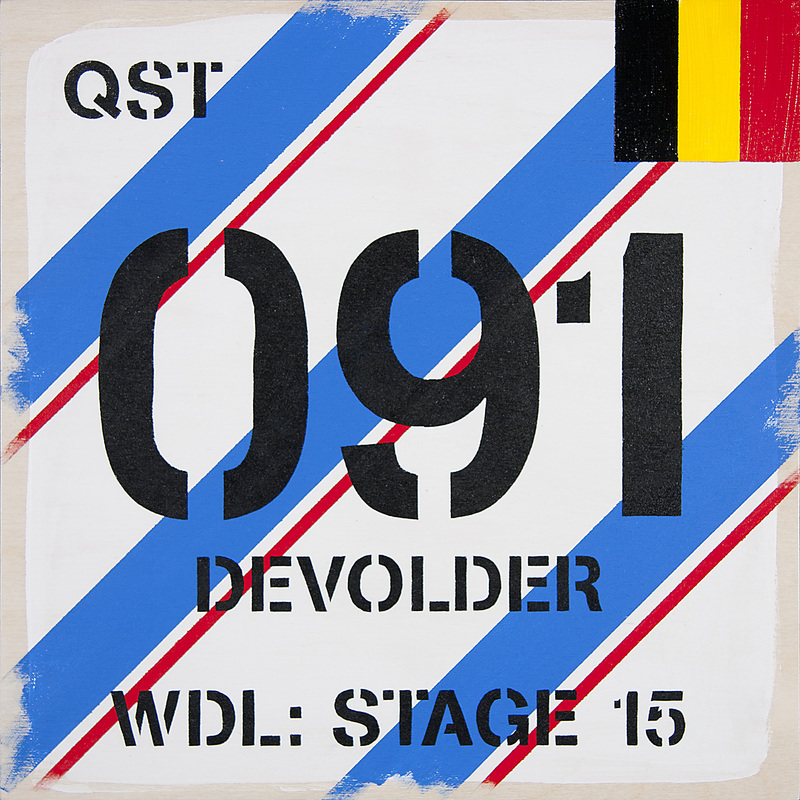 General Classification, Acrylic on wood panels, 2012. 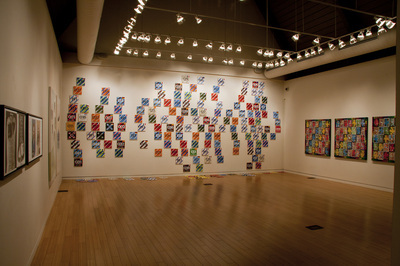 Installation 30' x 12'. 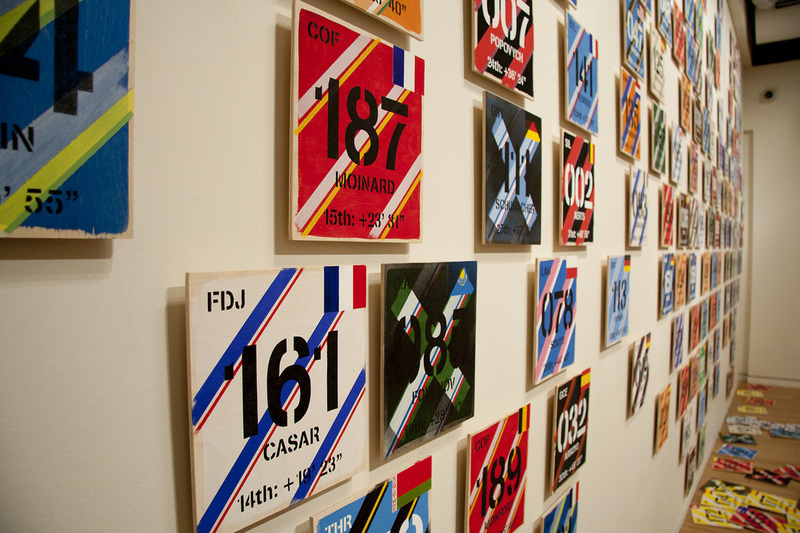 General Classification is the term used for the overall standings in the Tour de France. 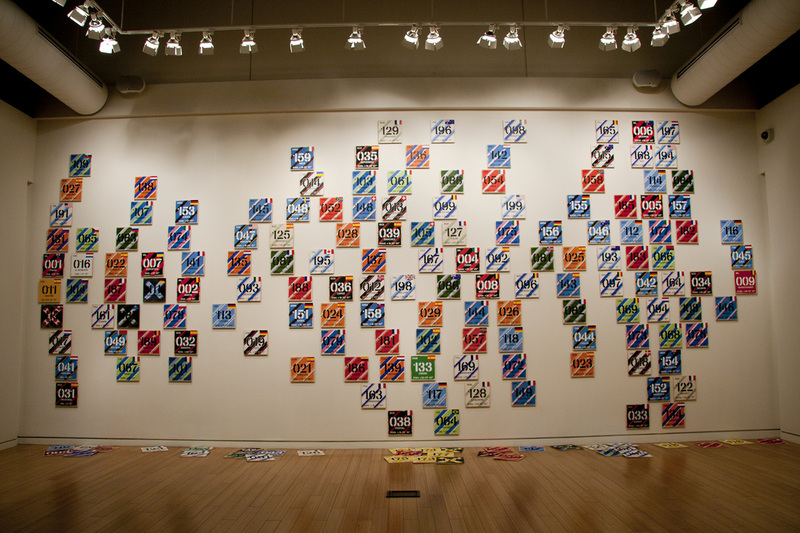 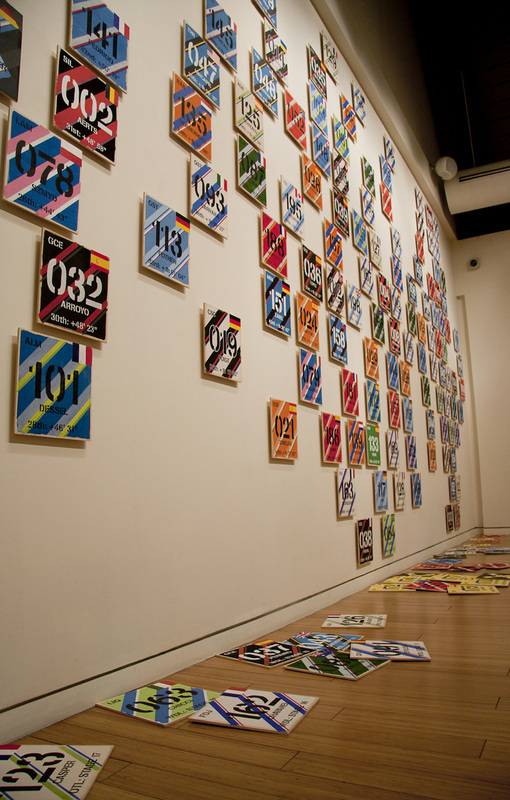 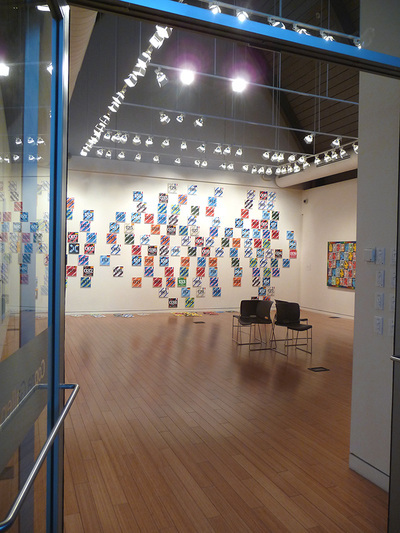 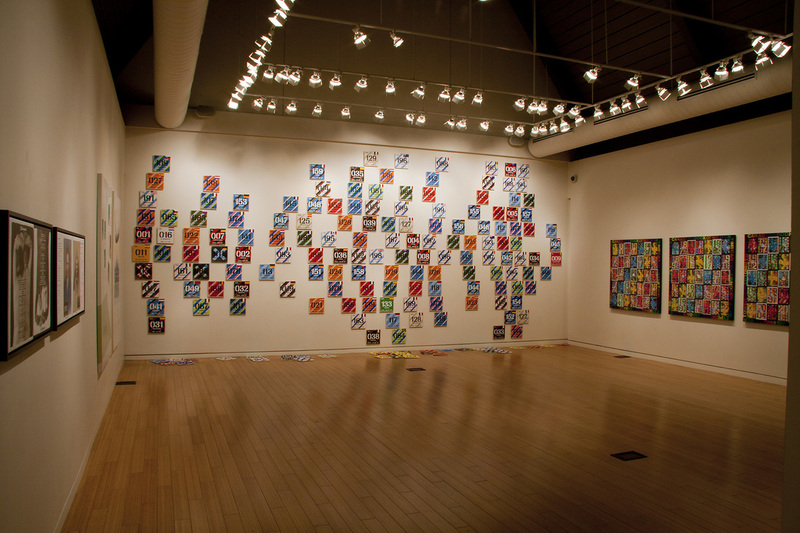 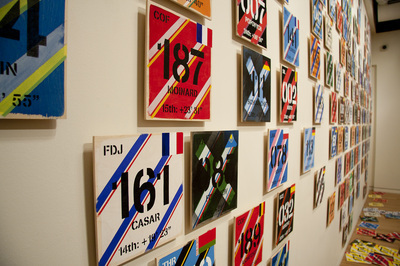 This installation is comprised of 180 10" square panels, one for every rider in the 2008 Tour, arranged in order and proportion of finishing time, from the winner on the extreme left to the last-place finisher on the extreme right. 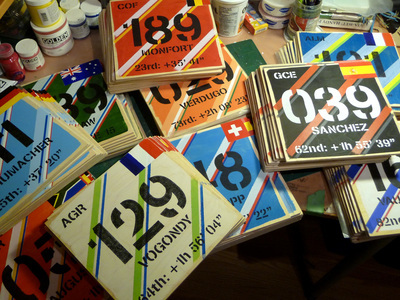 Panels for riders who dropped out were placed on the floor: riders disqualified for doping were marked with Xs. 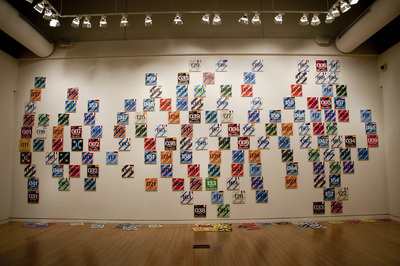 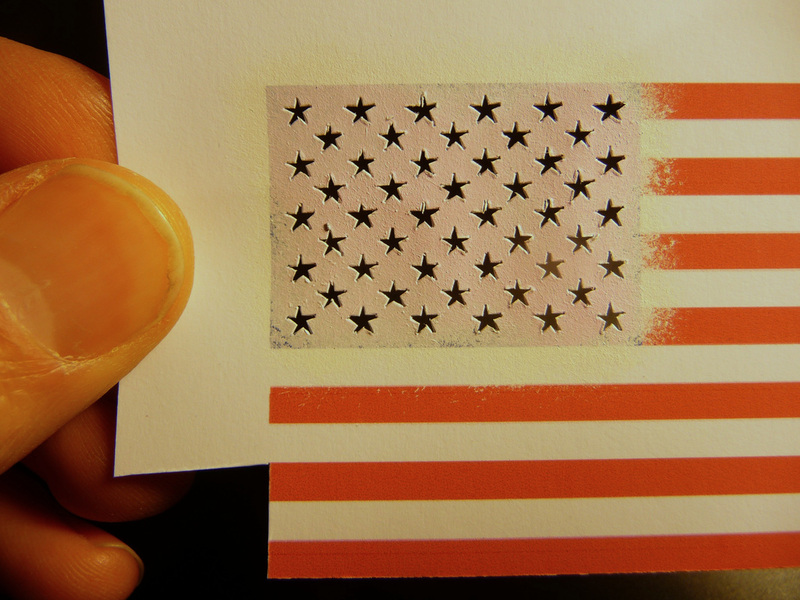 This work debuted as a part of Station Gallery's Reading the Image exhibition in 2012. Olexander Wlasenko, curator.